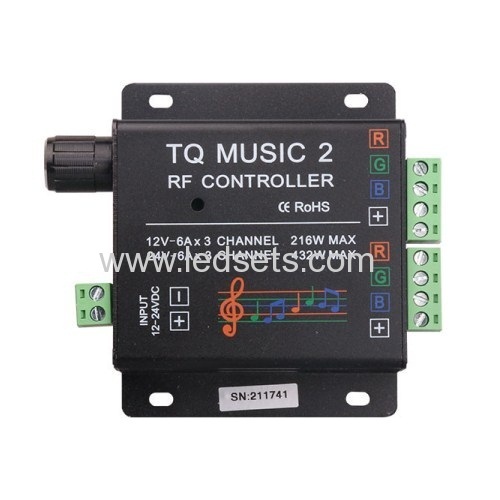 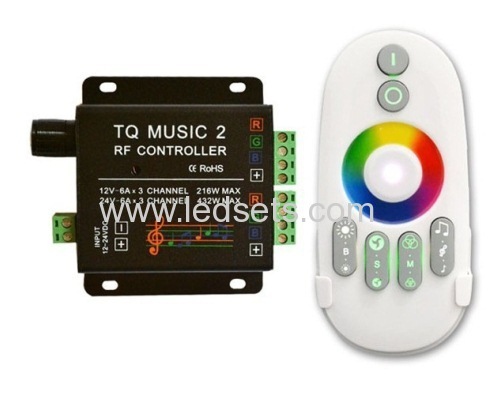 LED Music controller RGB adopts the advanced micro control unit, it is used for controlling a variety of lamp whose source of light is LED. With it, you could adjust brightness, static color choices and various dynamic changes in lighting effects through wireless remote control. And according to the actual need of customers, it can carry out jumpy changing, gradual changing, stroboflash and other effects of change.